Fun Fact: Cowboy loves peppermints & treats. Cowboy is a retired western pleasure show horse with many regional & national titles. He has achieved his Legion of Supreme Honor, only given by amassing 150 competition points! Fun Fact: She is the smallest horse in our lesson program with a big personality and beautiful mane & tail! Belle is a 14 year old Half-Arabian horse. 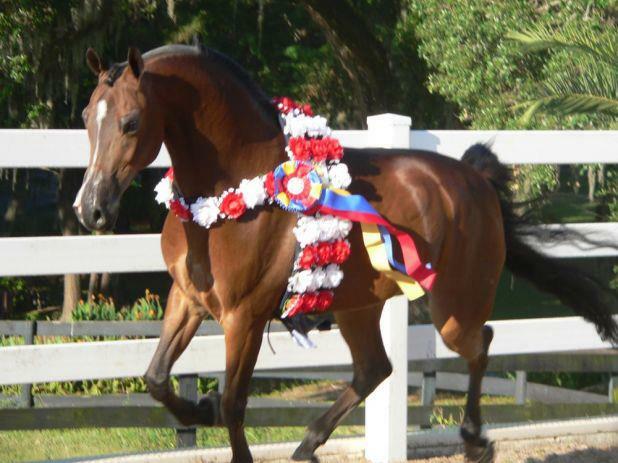 She has competed and won in multiple A-Rated Arabian Shows in Hunter Pleasure and Sport Horse. Fun Fact: Prism is one of our most accomplished lesson horses! Prism is a 20 year old Arabian gelding who was most known for his achievements in Show Hack. Prism has earned his Legion of Honor & earned his last National Championship in 2007! He is one of OEA’s Saddleseat lesson horses! Fun Fact: Prince is one of our tallest lesson horses! Prince is an 18 year old Half-Arabian Gelding from Texas. He competes in Country English Pleasure and is one of OEA’s Saddleseat lesson horses! Fun Fact: Stella has been to many horse shows & LOVES treats! Stella is an 18 year old Arabian Mare from Texas. She competes in Arabian Hunter Pleasure and is one of OEA’s sweetest lesson horses!